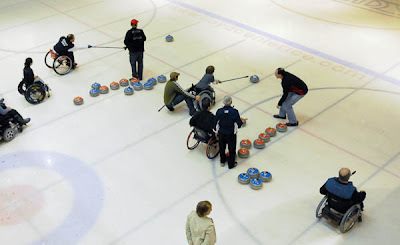 The Evergreen CC in Portland OR last weekend hosted a wheelchair curling tryout. The session was run by Team USA member Patrick McDonald supported by BC national gold medalist Vince Miele. Click HERE and HERE for photographer Matthew Ginn's images from the event.